This PhotoBiography of Tony a2z has been created by his pal Gary Wheeler, a designer from the same era of American auto racing. 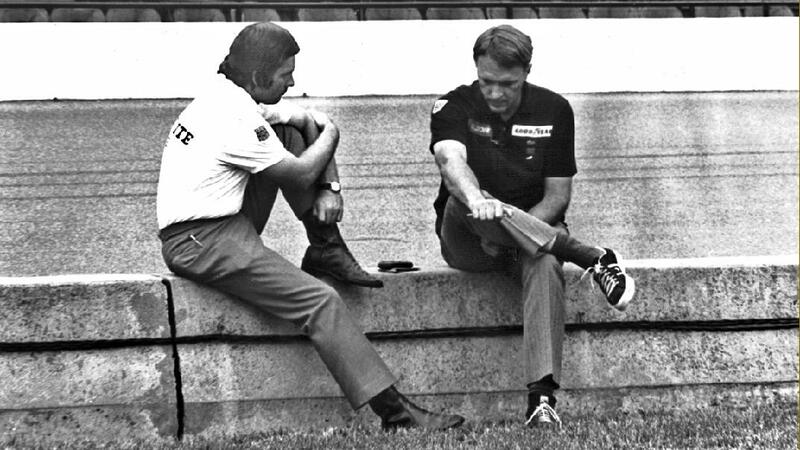 Here, Gary is shown sitting with Dan Gurney on Indy's pit wall, sometime in May, 1970 -- the last year Dan raced at the Indianapolis-500, where he finished 3rd. As Dan ruefully pointed out, "Nobody remembers who finished 2nd at this place, much less 3rd."